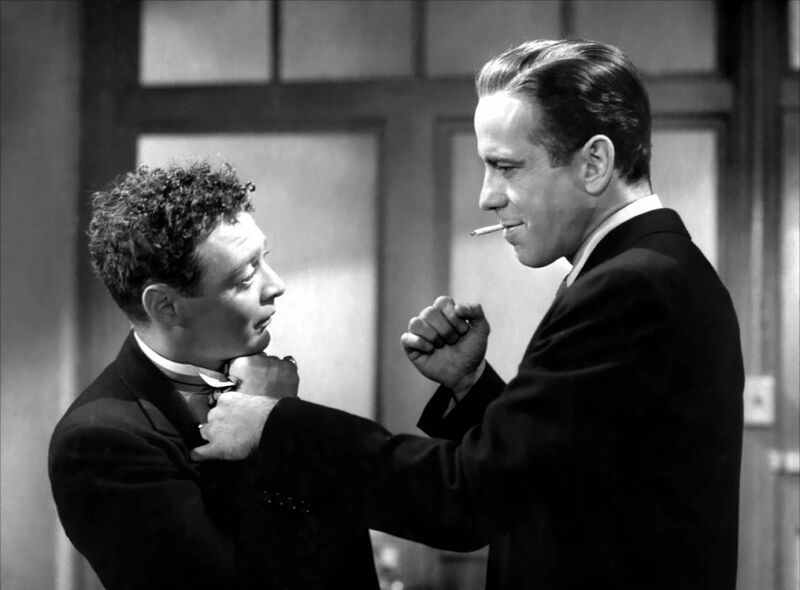 On 31 March, the Ciné-Real film club is to screen The Maltese Falcon, the 1941 film noir that launched the directorial career of John Huston and established Humphrey Bogart as one of Hollywood’s finest leading men. As ever with Ciné-Real, the screening will be held at The Russet off Hackney Downs. The Maltese Falcon is based on the 1930 novel by Dashiell Hammett, one of America’s most popular interwar crime writers. Hammett’s book plunges readers into San Francisco’s sordid, sleazy demimonde. The protagonist, private detective Sam Spade, seeks justice for the death of his partner, getting involved along the way with the hunt for a priceless statue. Through a series of red herrings, fleeting fits of violence and numerous tense conversations, Spade slowly works his way towards the truth. Huston’s film was the third adaptation of the novel in 10 years. The first, in 1931, was censored until the 1960s due to its allegedly lewd content; the second, 1936’s Satan Met A Lady, saw Hammett’s story turned into an underbaked farce. Though the third version sanitised some aspects of Hammett’s underworld, it was the first to commit to capturing Spade’s cold, unsympathetic character. As well as a then-startling focus on character over plot, Huston’s classic takes the meticulous shooting of Hitchcock and combines it with the visual innovation of Welles; experimental features in the film include a seven-minute unbroken shot. The Maltese Falcon was Huston's directorial debut, marking the beginning of a singularly idiosyncratic force in American cinema. The role of Spade proved a triumphant one for Humphrey Bogart, who went on to star in Casablanca, The Big Sleep and The African Queen. For The Maltese Falcon he met his match in Mary Astor, who played the manipulative Brigid O’Shaughnessy, one of the most memorable femme fatales in all film noir. Elsewhere in Huston's film, Peter Lorre and Sydney Greenstreet – the latter making his first screen appearance – shine as a pair of criminals. They would subsequently work together in nine other films. Both as a movie in its own right and as the template for the noir films to come, The Maltese Falcon is among Hollywood's masterpieces.